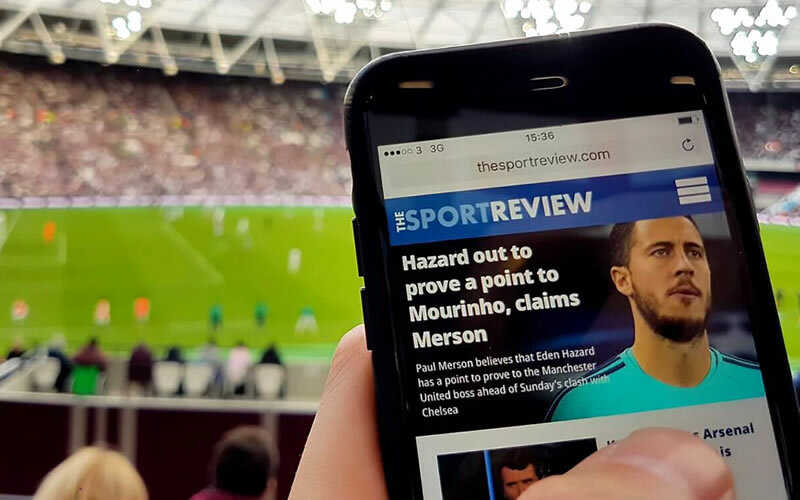 The Sport Review, a sports news website, has seen record growth in readership since winning the UCL Bright Ideas Award in 2010. The site now attracts more than 2.5 million unique users per month. The Sport Review website provides in-depth coverage of football and other major sports for the social media generation. It was founded in 2008 by Martin Caparrotta, an alumnus of UCL’s BA in Italian and Management, along with co-founder Kieran Beckles. The website, which primarily covers Premier League football and tennis, recorded more than 2.5 million unique visitors and over 13 million page views in a single month for the first time in late 2017. In 2010, The Sport Review won £10,000 in the UCL Bright Ideas Awards (now the ‘Launch £10,000 programme’) to help kick-start the business. They were also tenants in the Hatchery at BaseKX, UCL’s business incubator for startups and new enterprises, and received regular advice from UCL Innovation & Enterprise business advisors. "The UCL Bright Ideas Award gave us the confidence to turn what had been a side-project into a full-time business," said Martin. "We're incredibly grateful to UCL for the hands-on support we received during the early stages as we worked to get the website off the ground." The final day of the Premier League transfer window in August 2017 was a record breaker for The Sport Review: the website attracted more than 350,000 visitors and 700,000 page views in a single day as fans logged on to read the latest news about their clubs. The Sport Review is regularly referenced in the British media as a trusted source of football news, including mentions on BBC Sport and Arsenal.com.